North Korea and other countries owe hundreds of thousands of dollars in unpaid parking tickets. Chris Glorioso reports. While North Korea's rogue leader, Kim Jong-un, spends untold resources on his nuclear program, there is one thing he is not paying for: His country's parking tickets. An I-Team investigation found North Korea's diplomatic mission to the United Nations has racked up more than 1,300 unpaid New York City parking tickets going back to the 1990s. As of this year, the total debt has climbed to more than $156,000. The I-Team sent an inquiry to an email address listed on North Korea’s diplomatic website, but a responding message said the email was incorrect. The I-Team was able to track down a North Korean diplomat near the nation’s UN office on 44th Street. He identified himself as Jong Jo, secretary of North Korea’s UN mission. 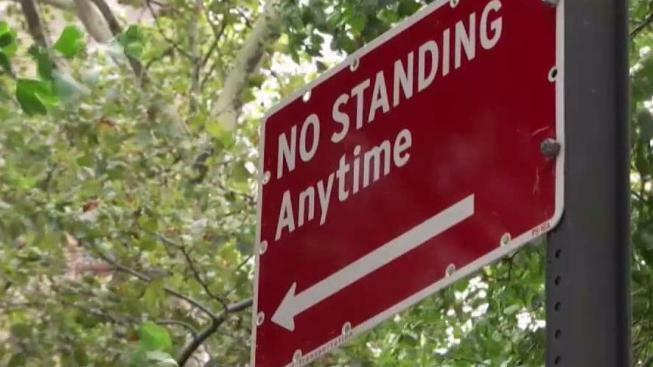 Jong Jo told the I-Team he believes there must be an error because New York City has had the right to withhold diplomatic parking privileges from vehicles that accumulate too many unpaid tickets. "It's not true," Jong Jo said. "It is false. Whenever we have a ticket, we pay. Because, you know, if we have three tickets the city does not allow us to renew their permission." A 2002 memorandum of understanding (MOU) between New York City and the U.S. Department of State does make clear New York City can withhold a diplomatic parking decal if a vehicle accumulates three or more unpaid tickets. But most of North Korea’s parking debt occurred before 2002, when the nation’s diplomatic vehicles regularly racked up dozens of ignored and unpaid violations with little consequence. And North Korea is far from the only nation appearing to skip out on hefty illegal parking bills. An I-Team analysis found vehicles assigned to diplomatic delegations from a multitude of countries have accumulated more than $16 million in combined unpaid penalties since the 1990s. Representatives of those nations’ diplomatic delegations did not respond to the I-Team’s requests for comment. Since the MOU was signed in 2002, there has been a dramatic decrease in diplomatic parking abuse. The NYC Department of Finance says foreign nations have incurred just $679,000 worth of parking violation liabilities in the last 15 years compared with millions prior to 2002. The de Blasio administration says parking tickets prior to 2002 are not forgiven -- and diplomatic delegations must still pay their debt. New Yorkers who do pay their parking fines were disappointed to hear nations like North Korea and Syria are failing to pay old tickets, especially because those nations have had rocky diplomatic relationships with the U.S.
“Trump needs to do something about that since he’s complaining about everything else,” said Sioban Huggins, a driver from Flatbush who just paid an outstanding parking fine. The State Department’s Office of Foreign Missions (OFM) issues driver's licenses to diplomats and other staff at foreign missions to the UN. OFM also keeps records of diplomatic driver histories, reserving the right to revoke U.S. driving privileges or even force the a diplomat to leave the U.S. for ignoring or violating motor vehicle law. The I-Team asked if any diplomatic drivers have been disciplined –- or if any diplomatic license plates have been revoked –- in the last five years. The U.S. Department of State has not yet responded to those questions.